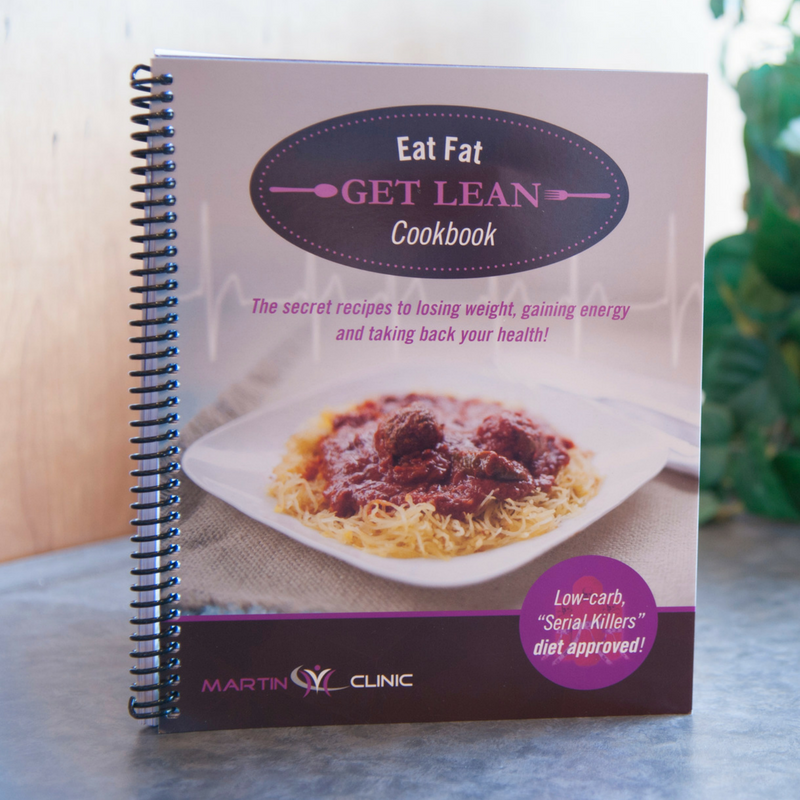 HERE'S YOUR FREE DIGITAL COOKBOOK "Eat Fat, Get Lean"
Eating lots of fat in your diet is bad for your waistline, right? Wrong! We’ll explain why in this book. How to know if you are a carboholic (and why it’s not your fault). 11 diet hacks to help you lose more fat. 5 devastating effects that sugar has on your health and waistline. 50% of the population is either Diabetic or Pre-diabetic, these are the steps you can take to prevent this from happening. Signup for our newsletter to receive health tips from Dr. Martin, as well as exclusive offers on Martin Clinic products. The information in our articles, videos, or podcasts is NOT intended to replace a one-on-one relationship with a qualified health care professional and is not intended as medical advice.